Guess what program ranked #1 in 2015? Hint: not Weight Watchers, not Nutrisystem, not HCG, not Jenny Craig, and not anything that is widely advertised on TV. The #1 ranked diet in America is Ideal Protein, the weight loss program current offered here at Pflugerville Wellness Center! The next question is, of course, how this website arrives at the rankings. According to Diet Review’s explanation, ranking is determined by “traffic”, or number of clicks, to a particular diet’s review page. This makes sense, because more people searching for the diet means more people are interested in it, perhaps seeing their friends/family/coworkers lose weight successfully. Ideal Protein jumped from #13 the year prior to the top spot this year. Scientific: Its based on BASIC human physiology, with a lot of support from the scientific literature. I will elaborate on it in a future post. Doctor recommended: you see GPs, endocrinologists, cardiologists, and chiropractors all recommending this program, because again, it makes scientific sense to medical professionals (point #1). Ease: no counting calories; just purchase products that replace most of your meals (with 70+ products to choose from each week). Support: weekly consults with the health coach, daily emails with helpful hints and videos, and multiple forums/website online that talk about how to successfully implement the program, plus recipe books specific for Ideal Protein. I have no doubt about the safety and efficacy of the Ideal Protein program, having gone through the program myself and recommending to hundreds of dieters. 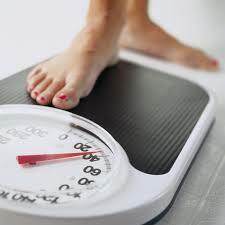 And the new ranking provides further proof that, out of all the weight loss programs offered, this program works! Contact our office about the details of the program if you are interested. Coffee ….Good or Bad for you? How much is beneficial?